At VIBBIO, we have had a tendency to focus on why and how you could and should use video for external communication, but we also want to bring attention to the many ways a company can use video for internal communication, and the importance of these type of videos. In this blog series about videos for internal communication, we will go through different ways that you can use video within your company to communicate with all employees. In this first blog post, we’ll talk about internal videos for training and onboarding. You’ve hired a new person to your team, the contract is signed, sealed and delivered, and the next step is the onboarding. How well the onboarding process is set up can determine whether the new employee fumbles around during the first months, or is able to work independently and add value to the team immediately. A survey shows that when employees went through a structured onboarding program, they were 58% more likely to be with the organization three years later. This clearly shows that a good onboarding is beneficial for the entire company, and a great way to make the onboarding process efficient is by using video. When hiring new employees, your HR-department probably find themselves conveying the same information over and over again to get all new employees familiar with the company’s routines. With videos, you can take your new employees through a demonstration, or give them necessary information, in an easy and engaging way, while your HR-department saves time. Start creating your own videos. Try VIBBIO for free. A simple orientation/onboarding video created for new employees at Dunkin Donuts, explaining the goals and values of the company. When hiring a new employee, it is nice to give them a warm welcome before they have even started. A survey conducted by Kaltura shows that “80% of respondents believe that video would have a positive impact on making the onboarding process of new employees smoother.” So why not make a welcome video the first of the onboarding videos? Send new employees a welcome video where the CEO and other employees say a few words about the company, what the new employee can expect when starting their new job, and how thrilled you are for having him or her as part of your team. As a new employee, there’s nothing better than starting a new job feeling like you’re already part of the family. 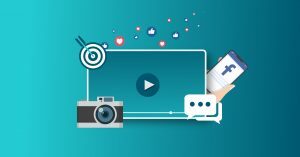 Another way you can really make use of video for internal communication is to create internal how-to videos, where you can explain or show how a procedure, software, or product works. You might have created how-to-videos for external use before, and creating them for internal purposes is not very different. Have you for example ever had a problem with setting up software or using specific programs on your computer? We all bump into these kinds of issues at one point, and often, it is the same person who has to help you set up and solve the problems. If your company has many employees, this can fastly become a full-time job for your in-house expert. By creating internal “how-to”-videos, all employees can easily get the help they need when they need it, without having to go to anyone else for help all the time. Gather all these videos in an easily accessible library and make all of these processes more efficient. Not only can you create videos for new employees to get them into new routines, but you can also create videos to train existing ones in different courses your company offers, such as leadership training programs. If your workplace offers leadership and management courses, you can create videos to make this process more efficient, but also more engaging. Creating videos for this purpose does not mean that you should replace the “face-to-face” leadership training altogether, but it can be a great supplement to other training methods. If you have several training videos, you can create a video library that is easily accessible for all relevant employees, and sort the videos into different topics if necessary. In that way, it is easy for people to find the videos they’re looking for, whenever they need it. If you have a lot of information to convey in your training videos, you should consider creating several episodes within the same topic. So instead of for example creating one 15 minutes long tutorial, you can divide it into three 5 minutes long videos instead. In that way, the people watching your videos are much more likely to pay attention and actually take in the information you serve them. Also, whenever you feel it is appropriate, you should try to add a person to your video. If you, for example, are creating a how-to video on how to master a particular software system, you can start the video by showing the person that will take you through the system in the video, and you can also during the video switch between showing the person explaining and the system, software, program, etc. Adding a “talking head” can make it much more personal and engaging. Here’s an example of a very informal orientation video that starts off with showing the face of the person giving you the information.